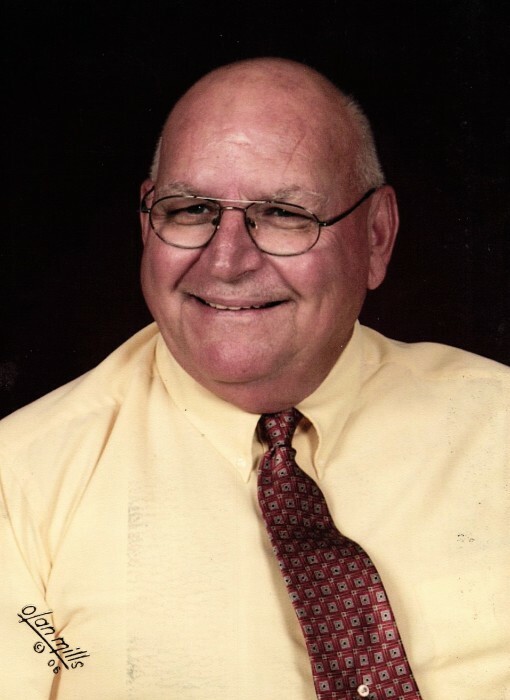 Larry M. Thrasher of Ellettsville passed away on Wednesday, April 10, 2019 at IU Health Bloomington Hospice House surrounded by his family. He was 79 years old. Larry was born to Ray and Esther (Terrell) Thrasher in Bloomington on September 13, 1939. He married Paula E. (Rowse) Thrasher on July 7, 1966. Larry and his wife Paula owned and operated Thrasher’s Market in Ellettsville for over 20 years. When Larry retired, he worked for RBBCSC maintaining the pool at the school. He was a member of the RBBCSC school board for many years helping to shape the school district into what it is today. Larry was a member of the Ellettsville First Baptist Church, the Oddfellows and Elks Lodges and was President of the Stinesville Lions Club for 20 years. He enjoyed sports of all kinds but especially enjoyed attending every game of the IU Basketball season in 1976 and traveling to Cincinnati to see the Reds play. Larry was a driving force in the community helping with the Monroe County Fall Festival and various other community projects. His presence will be missed by many. He was preceded in death by his parents; wife, Paula Thrasher (Oct. 2005) and his sister Donna Jackson and brother, Jeff Thrasher. Larry is survived by his children, Jay M. Thrasher (Rose) and Rhea Mary Lee Keller (Kerry) all of Ellettsville; grandchildren, Zebulan Thrasher, Terry Keller, and Eric Newton (Rachel); great-grandchildren, Tyler, Cole and Lila; sisters, Linda Mobley and Sherry Whitaker (Wayne); several nieces and nephews; and friend, Dawn Mayfield. Memorial contributions may be made to the Ellettsville First Baptist Church, 115 S. Sale St. Ellettsville, Indiana 47429 in Larry’s memory.